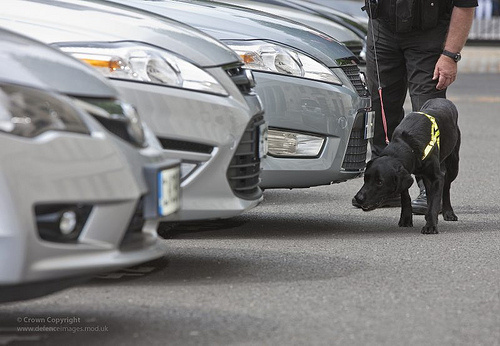 The Supreme Court upheld a Florida court’s ruling this week that the use of drug-sniffing dogs near a person’s home was an infringement on the Fourth Amendment. In a 5-4 vote on Florida vs. Jardines, SCOTUS affirmed the Florida court that “suppressed evidence found in a marijuana possession case, after a police drug-sniffing dog was brought near a home and alerted officers,” reports NPR. Since the officers did not have probably cause to allow the dog to search the person’s premises, the Florida court rejected the evidence. Chaninat & Leeds’ US and Thai Criminal Lawyers have been representing clients in Thailand and abroad for over 40 years. Justice Antonin Scalia cited the Fourth Amendment on property rights grounds in the case: allowing a drug-sniffing dog to conduct a search on private grounds is considered trespassing, and violates common law.